Enjoy the best inspirational, motivational, positive, funny and famous quotes by Aaron Blakely. Use words and picture quotations to push forward and inspire you keep going in life! The story revolves around newly hired TV talk show host Tyler Stone. He’s a control freak who comes on the scene and rubs everyone the wrong way. 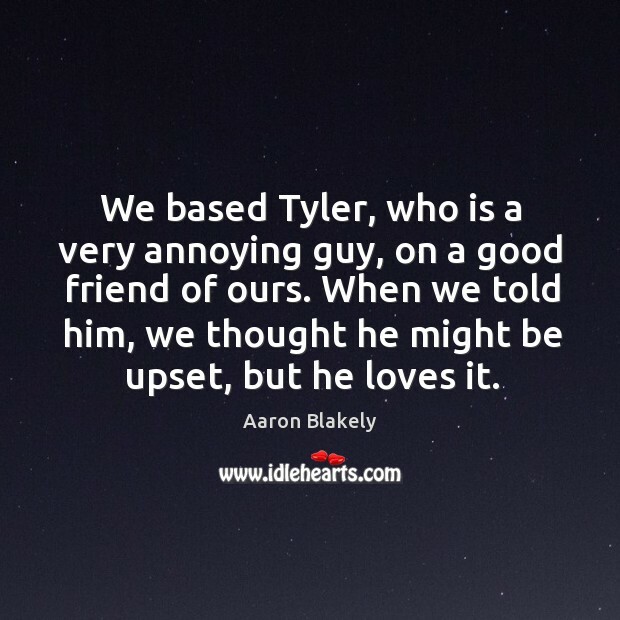 We based Tyler, who is a very annoying guy, on a good friend of ours. When we told him, we thought he might be upset, but he loves it.